REAL-TIME REPORTING & ANALYSIS ! Measure your results with detailed, real-time statistics. Analyze your advertising, in-depth, see what's working and what's not so you can adjust it instantly. In just a few minutes and just a few dollars a day you can bring in 100's of new shoppers each month that are looking to spend at your business. Paper is lost, thrown away, forgotton & not easily shared. We never send annoying text or spam! Thats why we are loved! Powerful because our App makes sure shoppers always see your business first when they're in your area using GPS. With Mobile Bandit you have the flexibility to create and control your marketing with no IT support or technical knowledge! Once connected to shoppers via the App you can continue the conversations on over 300+ social media sites. 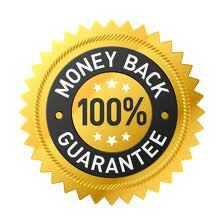 We have no fine-print contracts and no hidden costs plus we offer a 100% Money Back Guarantee* It's that simple!
" Watch why mobile marketing works better than anything! " "This restaurant owner received his first customer within 5 minutes of signing up on Mobile Bandit." "Very easy to teach our staff and I receive many customers using Mobile Bandit." "Mobile Bandit is a great service and is really working for me." "We get many new customers everyday! It has been great!" Your business can now attract hundreds of new shoppers every week. The Mobile Bandit network is the only advertising that brings huge foot traffic to many businesses while allowing them to gather comprehensive performance reports on all of their marketing efforts. Are you looking to get started in mobile phone marketing? Great, you’ve made a wise choice as you’ve happened upon one of the largest and fastest growing industries. Mobile Bandit is the most inexpensive innovative and "effective" way to connect with local consumers today. Mobile Bandit is an exclusive marketing system developed just for retailers. Our exclusive advertising network will drive in shoppers that are looking to spend & our loyalty system will keep them coming back. Locations & Rates. Have more questions? "Mobile marketing is the future of advertising"
"Mobile advertising brings a great deal of value to merchants"
"Mobile marketing is becoming more and more important"
" Mobile is critical for your buisness to stay ahead"
"Merchants can now leverage mobile, social and traditional media to create advertising and marketing strategies that work." "Mobile advertising platforms boost sales and walk-in traffic"
* Restrictions apply. Read our terms of service policy.